Just a quick post from me today (yes I know I always say that and it always turns into an epic NOVEL of a post). I wanted to share this quick story with you because it amused me so much and because I really have to get back into the swing of regularly posting, even if it is just something little like today. 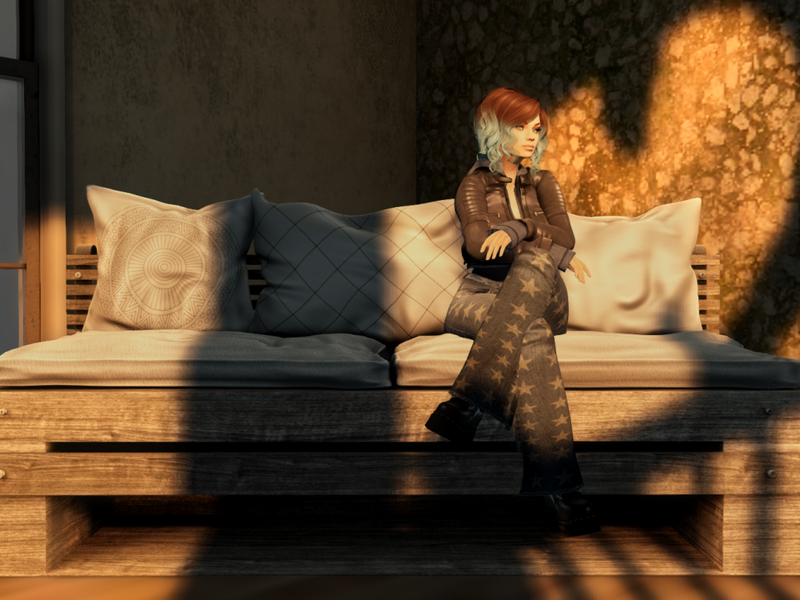 So…I have a friend on SecondLife called Alicia. Alicia has her own blog, vlog and livestreams. You have seen her in the collaborative video we do called, “Coffee Break”, that I posted about HERE. So, awhile ago, I revealed to Alicia that I don’t like Pizza. Mmhmmm…THAT happened. One of the deep dark secrets of my soul is now out in the open for you all to get all Judgey McJudgerson on. It’s not that I have a particular hate on ALL pizza. I just really don’t like store bought pizza. I find it greasy and disappointing. Quite often it flops around looking like it is filled with pizza sadness at the inadequacy of its second rate fillings and the overabundance of unidentifiable cheese. The pizza base itself is often chewy and has a funky taste of…something that should never be present in a bread dough. Don’t even get me started on the presence of pineapple on this food product. It’s a different story when we make pizza at home. When we can add fresh toppings and herbs. When the bench is covered in flour from our creative efforts and the smell of yeast wafts gently in the air as the dough balls are uncovered from their snug homes in bowls where they have been happily rising. When the pizza stones are heated to perfect base crisping temperatures in our oven, and when the cheese is freshly grated or pulled from rubbery balls of mozzarella. I’ll eat and like THAT pizza. But…I digress. One day while livestreaming, I was teasing Alicia and giving her a hard time for my amusement, when out along the soundwaves comes the statement, “Groves doesn’t like pizza!!! You should send her ALL the pizza things!!! !” I was like….